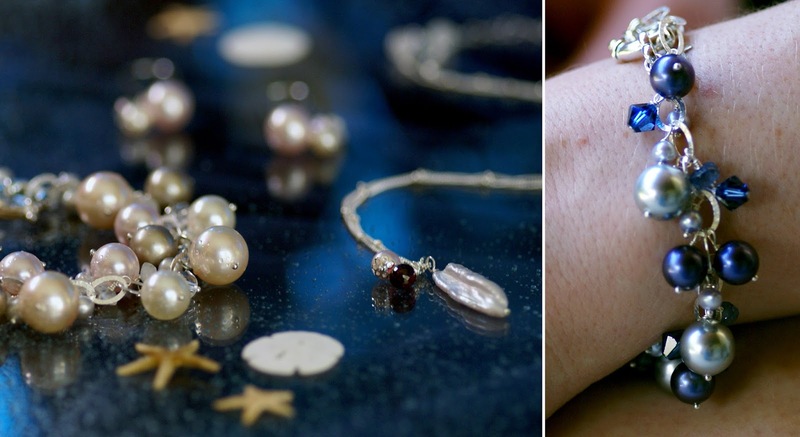 Delicate & Whimsical Accessories with a Touch of the Sea's Beauty. 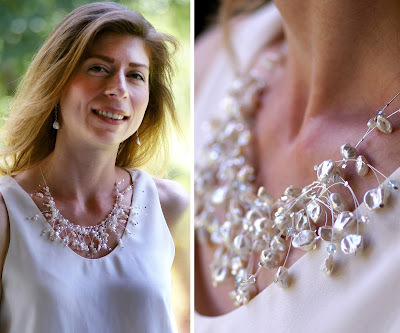 Strings of Pearlescent Pastels Paired with Silver, Gold or Sparkles. Style: Elegant, Graceful & "Pearl Kissed"
Today you can find trendy jewelry to suit any style, bold, colorful, sparkly, even nerdy. 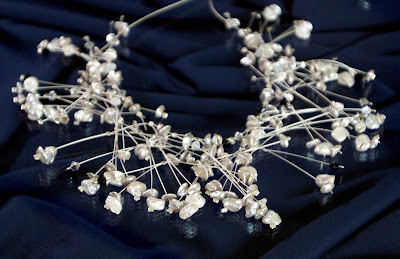 But pieces that are beautifully understated in their elegance can be more of a challenge to come across. Perhaps because it's easy to overdo, but timelessness takes balance and the right materials like those favored by Ellen vanHully-Bronson of Pearl Kissed Jewelry. Most of Ellen's collections are centered around one of Mother Nature's most delicate and classic "gems" - the fresh water pearl. Her necklaces, bracelets and earrings are all handmade and one-of-a-kind, much like each naturally derived pearl. 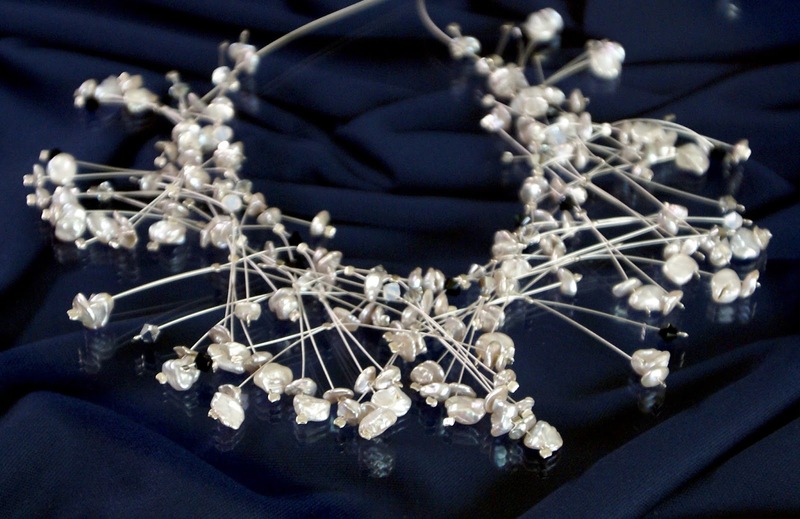 Her designs are meant to convey an air of elegance and romance, from her simpler strings of silver and the occasional pearl bead or crystal to the more intricate signature necklace with woven "branches" that sit gracefully along your neckline. 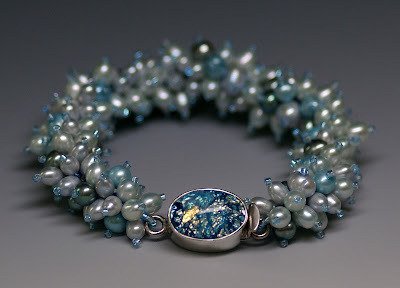 Ellen's pieces make wonderful gifts for moms, daughters, sisters, wives and more. A Pearl Kissed necklace can enhance any outfit, from the more casual to an evening dress. They are that charming and versatile. While Ellen has a handful of self-designed collections, she is happy to discuss custom requests for a piece that's as special as its future wearer. That makes her work very well suited for bridal parties to match the romance you want on your special day! I love how creativity runs in Ellen's family, with this business originally started as a mother - daughter duo. Her daughter then continued to follow her passions to metalwork, but still offers input on design and marketing to help drive success. 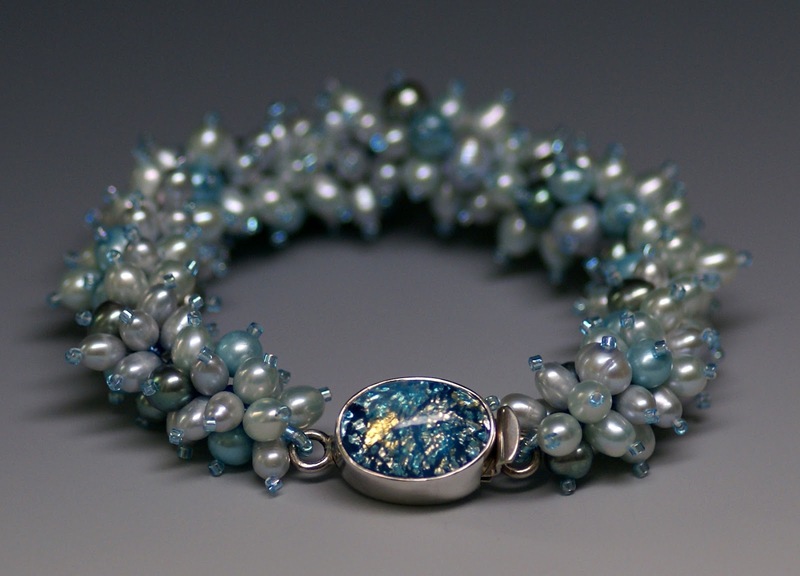 Ellen is a delight much like her jewelry, a pearl among artists!